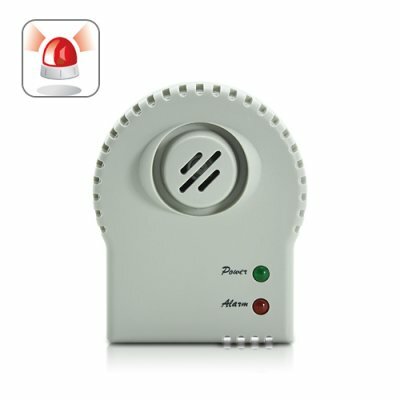 Successfully Added Carbon Monoxide Alarm with Figaro CO Sensor to your Shopping Cart. URGENT NOTICE! Read every last word on this page- you might already be at risk and not even know it. There are hundreds of deaths every year from Carbon Monoxide, and just a small amount of Carbon Monoxide in your home can cause severe health problems over time. Symptoms are easy to misdiagnose and you may already be experiencing slow poisoning and not even know it. That’s why in today’s day in age every single home MUST be equipped with a Carbon Monoxide Detector. This is the only way to guarantee the safety of you and your loved ones from this common yet highly toxic gas. Read below to learn more. Carbon monoxide (CO) is a colorless and odorless gas. Because you can’t see, taste or smell it, it can affect you or your family before you even know it’s there. The J61 is provides the peace of mind you’d expect from a world-class CO detector. That’s because inside the J61 is the ISO 9001 certified Japanese-made Figaro semiconductor carbon monoxide sensor. Figaro has been the worldwide leader in gas sensing technology for more than 30 years, so it’s a name you can depend on. This device also features auto-check sensor failure to ensure the device is always active and working without fault. Any fuel burning appliance that is malfunctioning or improperly installed can be a source of CO. This includes furnaces, water heaters, gas stove/range, gas clothes dryer, gas or wood fireplaces, wood-burning stoves and automobile exhaust from an attached garage. Other sources include clogged chimneys or flues, fuel burning space heaters, vent pipes and more. Simply put, it’s a lot more common than you would think. Our profit on the J61 is quite low- and this CO detector could easily sell for more than double the price. However, we believe that every single home should have one installed, even if that means selling this product at a below wholesale price. If you don’t own a carbon monoxide detector yet then there is absolutely no reason at all why you shouldn’t order one today. You owe it to not only yourself, but your loved ones as well. Do not delay another day. Order a few right now and we will express ship your package within 24 hours. Note: For maximum safety place one device in each room. If you cannot afford one CO detector per room, then at the minimum place one next to your bed and one in your living room. Safety Features: Auto-check sensor failure. New homes are even more susceptible to CO poisoning. That’s because energy efficient homes have air tight windows and doors, literally trapping the Carbon Monoxide inside. Do not to install carbon monoxide detectors directly above or beside fuel-burning appliances, as appliances may emit a small amount of carbon monoxide upon start-up. It should not be placed within fifteen feet of heating or cooking appliances or in or near very humid areas such as bathrooms. What to do and who to you call when your carbon monoxide detector goes into alarm? 1-Turn off appliances, or other sources of combustion at once. 2-Immediately get fresh air into the premises by opening doors and windows. 3-Call a qualified technician and have the problem fixed before restarting appliances. 4-If anyone is experiencing symptoms of carbon monoxide poisoning: headaches, dizziness, vomiting, call the fire department and immediately move to a location that has fresh air. 5-Do a head count to be sure all persons are accounted for. 6-Do not re-enter the premises until it has been aired out and the problem corrected.